On Monday morning, Wisconsin Gov. Scott Walker became the 15th Republican presidential candidate to enter the 2016 race. Walker is most famous, nationally, for severely inhibiting the power of public employee unions and then taking down a strong public effort to recall him as governor, according to The New York Times. He has implemented a number of controversial policies in Wisconsin and made enough ridiculous statements that there are troves of Scott Walker memes to help you cope with his presidential campaign. During his time as Wisconsin governor, Walker signed voter ID legislation that some have called attempts to suppress minority voters; he passed a state budget to limit Planned Parenthood funding; and, his office was involved in trying to change Wisconsin's open-records law to make it harder to access government records, including his, according to Mother Jones. 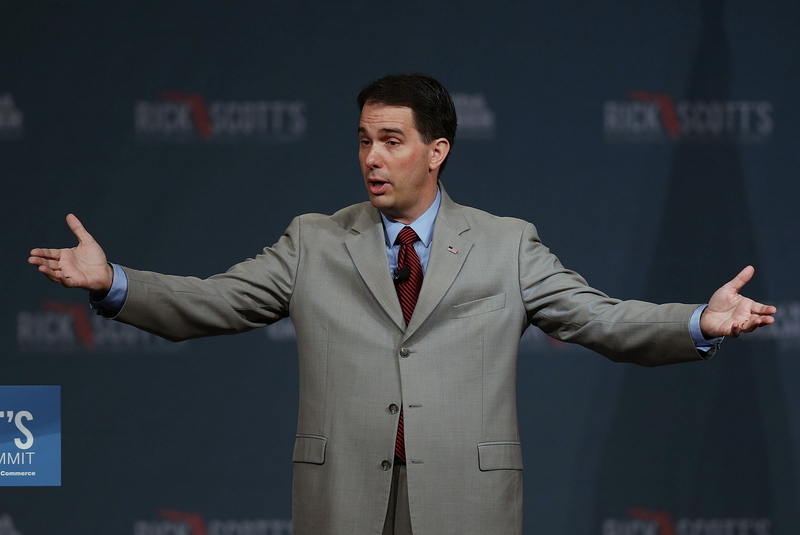 Walker is currently under investigation for the sources of money used during the campaign to defeat his 2012 recall. The state's probe alleges that Walker skirted election laws by taking money from politically-active nonprofits, whose donations in political campaigns are supposed to be limited by the IRS, according to Mother Jones. Walker has previously said that women should be forced to have ultrasounds before abortions because they are "a cool thing," he has also compared unions to ISIS, saying, "If I can take on 100,000 protesters, I can do the same across the world," and he has said he doesn't think the minimum wage "serves a purpose." Walker also does not have a college degree. The best old and new Scott Walker memes make fun of some of his ridiculous views.